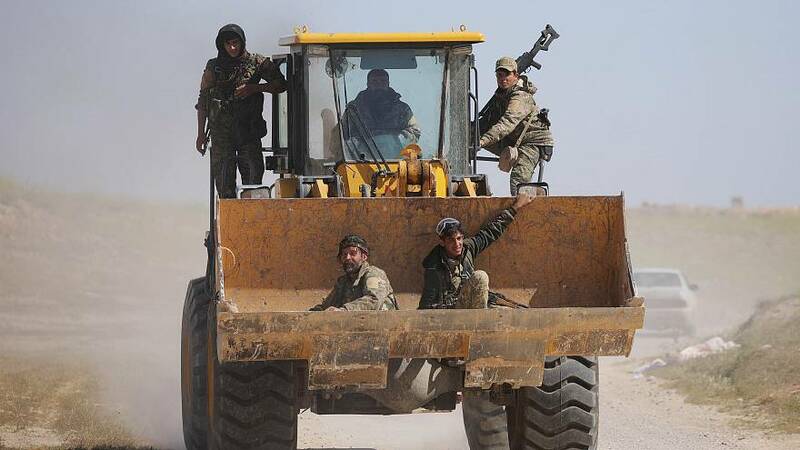 The so-called Islamic State (IS) has lost its final territorial enclave in the village of Baghuz after the Syrian Democratic Forces (SDF) declared "total elimination of the so-called caliphate". The spokesperson for the American backed forces tweeted that the last so-called IS stronghold in Syria, Baghuz, has been freed, declaring the final military victory over the militant group in Syria. “Baghouz has been liberated. The military victory against Daesh has been accomplished,” he wrote. The SDF has been battleing the final so-called IS stronghold of Baghous along the Syrian-Iraqi border for weeks. NBC News reporter Matt Bradley, who is reporting from Baghouz, shared on Twitter the SDF flag being raised in victory over the remains of the so-called IS. On Tuesday, March 19, SDF forces captured an encampment in Baghouz where the jihadists had been mounting a last defence of the tiny enclave, pushing diehard fighters onto a sliver of land at the Euphrates riverside. The so-called caliphate's failed final stand in Baghouz ends its territorial control in the region, for a group that once held control of vast land in the region. Although the SDF's eradication of so-called IS is a significant milestone in this eight-year-old war, the threat of insurgency looms as many so-called IS fighters remain hidden underground in the Syrian desert and Iraqi cities. The so-called IS is also thought to maintain affiliates in Egypt’s Sinai Peninsula, Afghanistan and elsewhere. The US Defense Department said on Friday that so-called IS no longer "held any territory in Syria" as acting Defense Secretary Patrick Shanahan briefed US President Trump aboard Air Force One. White House Press Secretary Sarah Huckabee Sanders said the territorial caliphate has been 100% eliminated after weeks of battles from SDF forces in southeastern Syria. The US still believes the group’s leader, Abu Bakr al-Baghdadi, is still at-large in Iraq. In 2014, Al-Baghdadi stood at the pulpit of the great medieval mosque in Mosul and declared himself caliph, sovereign over all Muslims. 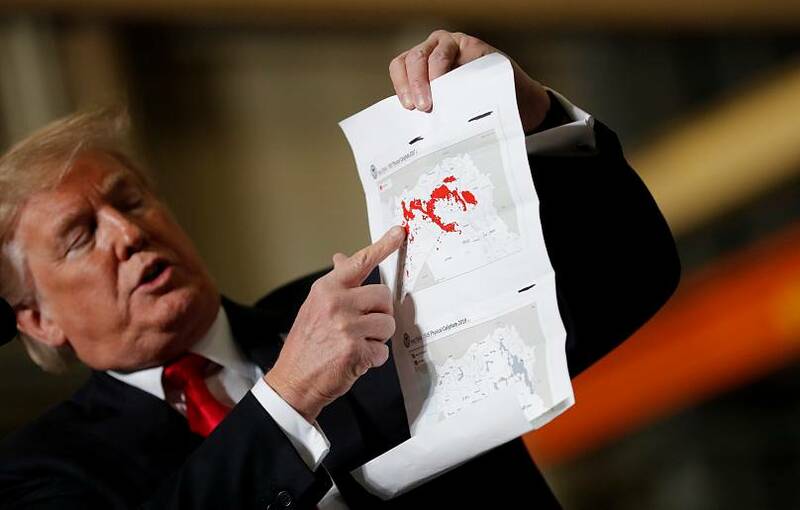 The US-led campaign to take back territory from the so-called IS has spanned five years and two presidencies who unleashed more than 100,000 bombs and killed untold numbers of fighters and civilians in Syria and Iraq. At its height, the so-called Islamic State group ruled a third of both Syria and Iraq, holding millions of people hostage to its harsh and violent interpretation of Islamic law.